Doug B. introduced the guests and visitors. Andrew H. shared his experience at the leadership seminar, a day long seminar, for the district, 5170, on Saturday, December 15th at Los Gatos Lodge. One of the interesting topics that Andrew shared was the study of “The Mother Theresa Effect”. Based on the study, levels of immunoglobulin of the participants were elevated after watching a video of mother Theresa carrying out act of kindness. “People are intrinsically altruistic and volunteering is a helplessness antidote." Andrew H.
Thank you Gregg B. for walking in the Parade with Eli. 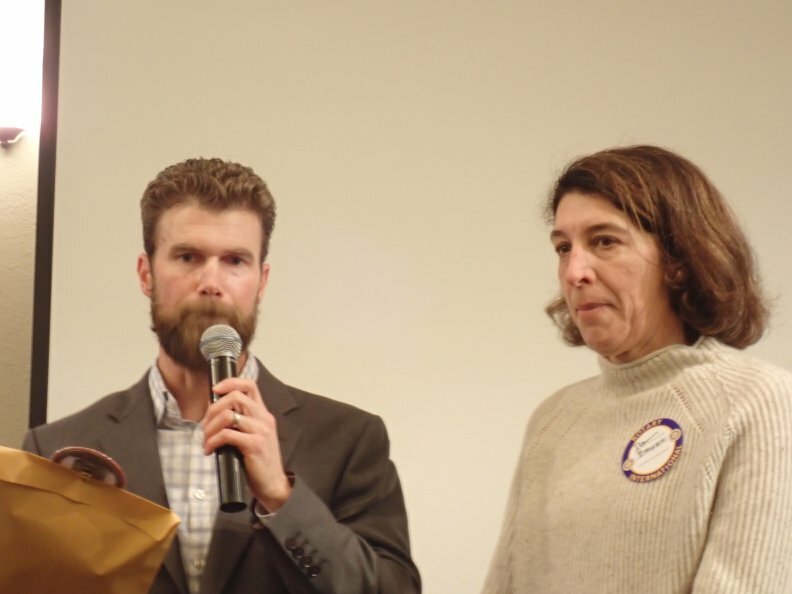 Rod H. announced a new unique fellowship Opportunity, “Silicon Valley Rotary Means Business.” The first meeting will be held on January 24th, 2019 at 6:00 pm. They will be meting monthly on the 4th Thursday at 6:00 pm. The signup sheet was passed out. Judy R. gave an update on the Family Giving Tree. It was the best year ever for generosity and diligence for getting the gifts back on time. The less fortunate children of Santa Clara County are going to have a very special season. We fulfilled 100 gift cards; 46 toys, 21 sports items, 9 items clothing, and 24 others — the club celebrated by delicious homemade cookies. Patti gave updates on CrabFest. The event is on Jan 26th and the reduced fee is $65. Jan 8th, next rotary meeting, is the last day for donating gifts/sponsorships. She requested the club members to donate a bottle of wine. Click here to purchase your tickets! John P. announced the next officers and directors. Directors: Carole A., Michelle N., Henry V.
President Elect: 2020-2021: Judy R.
Diane B., Scuba Instructor for disable children, received her Red Badge. Lisa N. C. received her Blue Badge. Chia Kawahara, lives in Santa Clara, author of Midori Haus: Transformation from Old House to Green Future with the passive house, has a BA in economics from the university of Hawaii and MBA from San Francisco State. 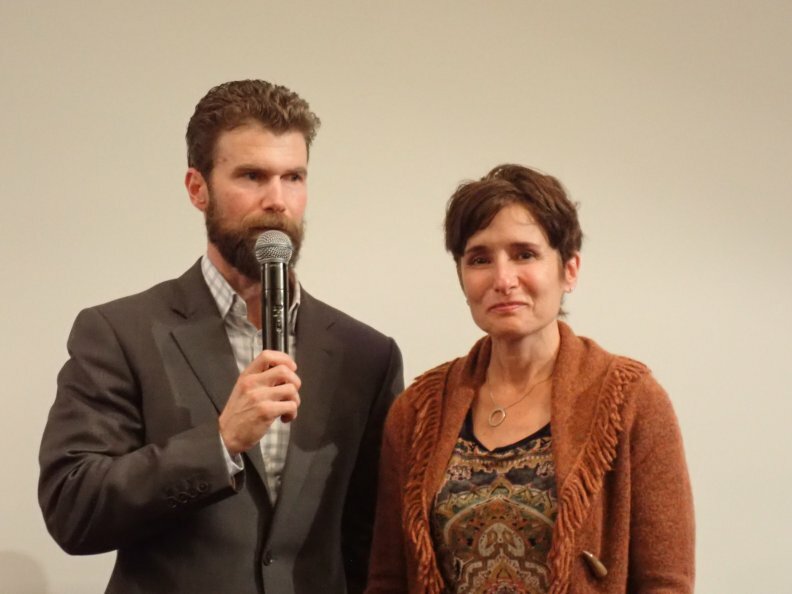 She shared Watch Bill’s story, “ I realized my house was making my family sick..”. She covered opportunities at energy, air, and water intersection to improve living condition and to make it greener.